Tile Crusher is a simple cli utility to work with tilesheets and spritesheets. It allows you can easily combine multiple tilesheets as one, as well as split up an existing tilesheet or spritesheet into individual images. As such there are two modes - combine (default) and crush (split things up). 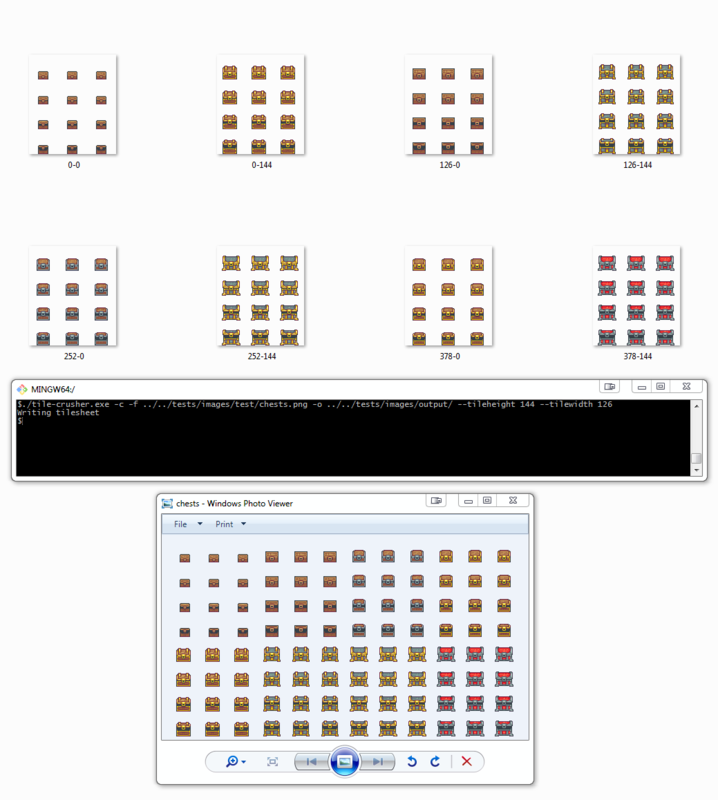 Combine mode is useful when you have multiple sprite frame images or multiple tilesheets and need to combine them into a single file. In either case, Tile Crusher will automatically detect empty tiles and discard them during the combination phase. Crush mode is useful for splitting a spritesheet up into smaller sheets. 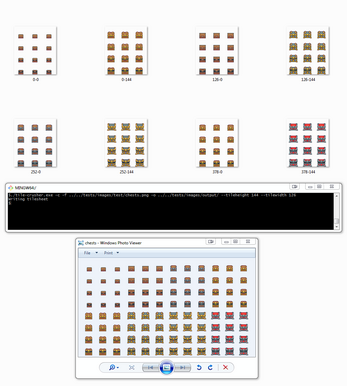 Spritesheets are often distributed in a way that has multiple different sprites on one sheet - Tile Crusher can split this image into a sheet per character or even every sprite into it's own image. Tile Crusher is simple in it's current form but there are more features planned, including a GUI app for those who don't like working with the terminal or command prompt. Image optimization utility - Optimize the images as they are written or even optimize your existing images!